Life is a constant state of change. Giving us opportunity for growth and adaptation. Last year I made the leap into racing 100 mile trails after adapting to trails the year prior to that. I’ve had a lot of fun learning about myself in ways that only pushing through 100 miles of mountain trails can afford the opportunity. I’ve appreciated the encouragement of my friends, family and the community that supports this sport. Before I decided to go all out in trail and ultra running, I was a student for many years. Working and attending classes full time left little time for training the way that I needed to. Running was for fun and only happened whenever time allowed. I thoroughly enjoyed school and educational fitness to me is something that I appreciate just as much as physical fitness accomplishments. 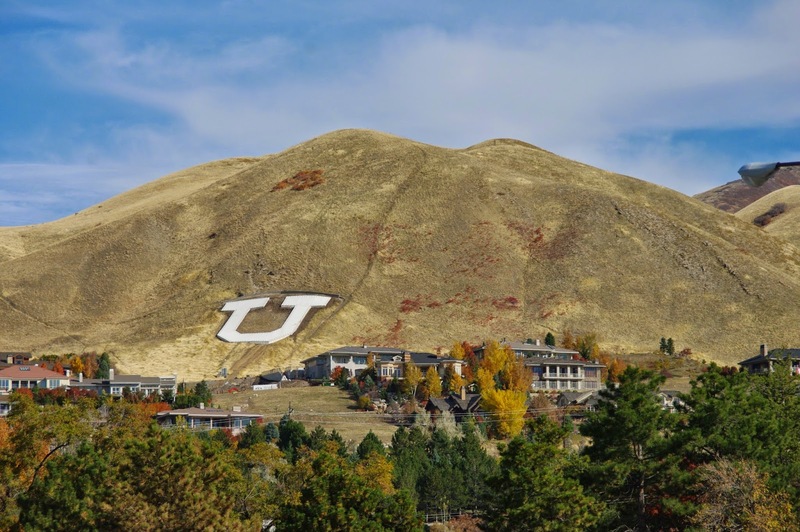 A few weeks ago, I received the opportunity at the University of Utah to attend the Doctorates program for Physical Therapy… joining the ranks of such inspirations as Nikki Kimball, Kaci Lickteig and Scott Jurek. I'll be packing up and heading back down south to SLC, birthplace of my love for running and trails. Back to the campus that began my thirst for knowledge of the human body to lap up and satiate that thirst even more. Unfortunately it’s going to affect my trail running abilities and the time I’m able to dedicate to my mountains. Who knows what the future will bring in terms of competing and trail running adventures. But that’s kind of the beauty in life… we don’t know. That’s what keeps it an adventure. I’ve always made it a challenge in training to take the higher trail and embrace the difficulties in order to gain a better perspective, stronger endurance challenges and, if nothing else, a better view. I don’t compete in races because it’s easy or because I’m good at it, because they aren’t and I’m not. I compete and train and run and climb and summit for the challenges they offer and for how it changes me for the better. I’m excited to take on this next challenge and look forward to seeing how I can implement my new found knowledge into my training. I look up to such great examples as Jason and Andy Dorais and how they were able to properly balance doctorates programs, families and training in the mountains. Fellow teammates, the Puzey brothers (Jacob and Rivers) are doing the same thing right now. And of course another semi-local inspiration, Luke Nelson did the same thing through his PA program. Although I have a hard time comparing myself to these amazing athletes, I know it can be done. So what does this all mean in the end? Likely that I’ll have to make compromises and it won’t be easy to balance all things in life. I have a supportive wife who deserves a little doting and I’ll need to be cognizant of life beyond running and work towards a career as a Physical Therapist. Competition will have become a tamed desire. I’m not walking away, but I’m also not chasing aggressively for the next couple years. My mountains will now be my therapy. My quick escape from the workloads I’ll be muscling through. The trails where tempo sessions and hill repeats once became my sole focus will now become my playground to have fun and enjoy. I’ll never give up my wasatch and the intrinsic sustaining satisfaction of a hard effort will still be a reason for lacing up my shoes. They are my lifestyle and so beyond just a hobby or passion. Repeats up U Hill anyone? I’ve been extremely blessed to have those who’ve supported me and continue to show support through this change. Adventures in life are meant to be reflected upon and spark a memory or thought provoking, “how did I survive that”. This is no different. Life will change, I will adapt, and adventure will ensue. Congrats! You can do this. As a fellow distance runner who just finished her Ph.D. on top of life, I can attest to the powerful therapy and thinking time running will provide on this new journey. All things in balance, but you have some exhilarating changes on the horizon. Best of luck with it all!